To advance the curriculum – homework forms an integral part of the course. To practise and reinforce what has been taught – both knowledge and skills. To prepare for further work on a subject in a forthcoming lesson. 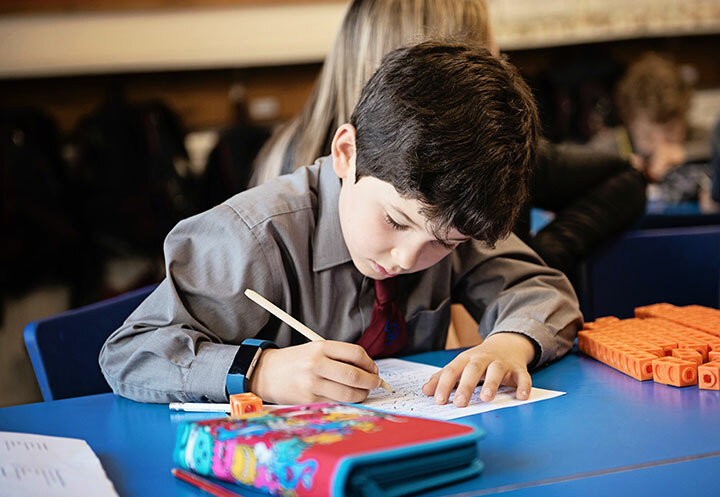 As part of the School’s training, in the development of skills indispensable for the future – good habits of private study, organisation, concentration, research and independence. To involve the home in the work and progress of the pupil. To teach responsibility and self-reliance. In a School with boys from 4 to 13, the nature, level, and quantity of homework changes as a boy progresses up the School. All the boys have a busy and demanding week at School. The younger ones especially may be tired by the end of the day, and there is little to be gained by setting quantities of work that demand their best efforts when they are no longer able to give them. Therefore any home tasks are always those that can easily be accomplished. The boys have, and need, other outside-school commitments and other activities or hobbies, as well as the time for creative and imaginative play. Such things should not be squeezed out of a child’s life. As the boys grow older the home objectives set out above are increasingly valid and important ones, and form part of our provision, so that by the time boys reach Years 7 & 8 they learn to study and work effectively on their own, in a way they will need as they progress through their education and beyond. The Homework Policy strikes a sensible balance between one end of the age range and the other. Timings vary, but we aim to set 30 to 40 minutes a night in Years 3 and 4, rising to an hour in Years 5 & 6, and to an hour and a half in the top two years.